Daily newspaper circulation fell to 1 537 302 from 1 606 531 from the previous corresponding reporting period (Q1 2014). PDF replica editions totalled 6 050 copies and sales below 50% of the cover price 24 507 copies. Circulation at the weeklies have also fallen — total circulation has declined to 587 246 from 621 751. Weekend newspapers have fallen to 1 887 782 from 2 048 524 in the previous corresponding period. Local papers have also seen a decline. Circulation has fallen to 416 241, from 432 771. Free sheets fell to 6 319 996 from 6 562 761. Note: we compare the current figures with the same figures for this time last year, and not with the previous quarter. Green equals growth, dark red decline, purple maintained or new entrant, orange discontinued and pink no submission or suspended. In Gauteng, Beeld has fallen to 51 064 from 62 766 in the previous corresponding reporting period, and Pretoria News to 14 968 from 17 445. The Star has declined to 91 735 from 101 711 (sales below 50% = 12 252). Sowetan is down very slightly to 99 244 from 99 403. In the Cape, Die Burger (Eastern and Western Cape editions) has declined to 56 146 from 59 895. 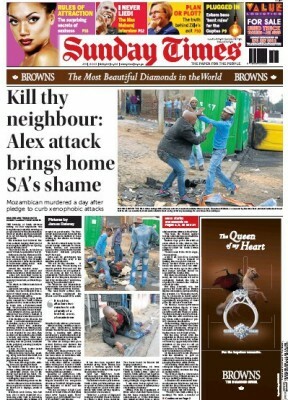 The Cape Argus has a slight upward tick to 30 393 from 30 319 but the Cape Times declines to 32 371 from 33 986. Son has fallen to 82 579 from 84 870. In the Eastern Cape, Daily Dispatch has fallen to 26 147 from 30 199 and The Herald to 20 919 from 23 605. In KwaZulu-Natal, the Daily News has fallen to 26 973 from 30 016 and The Mercury to 27 499 from 29 616. The Witness has declined to 16 554 from 17 693.
Business Day has declined to 29 559 from 32 854, The Citizen to 57 096 from 57 385 (with sales below 50% at 5 140), and Daily Sun to 265 993 from 283 216. Isolezwe is down to 110 155 from 119 846 and The Times to 140 647 from 142 603. Volksblad has declined to 18 652 from 20 590. Diamond Fields Advertiser is down to 9 161 from 9 745. 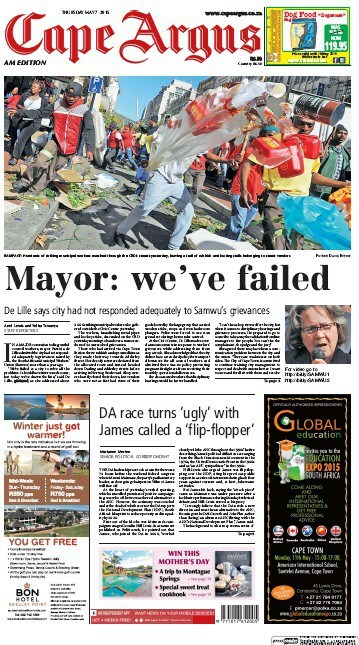 Saturday Beeld has fallen to 46 891 from 55 260, and Pretoria News Saturday to 8 511 from 10 177. The Saturday Star is down to 59 617 from 72 556 (cover price below 50% = 4 585). Saturday Burger has fallen to 71 156 from 73 588. The Weekend Argus Saturday edition is down to 38 117 from 39 580 but the Weekend Argus Sunday edition has grown to 17 669 from 16 928. Saturday Dispatch has fallen to 20 665 from 22 109. Independent on Saturday is down to 38 066 from 40 849. City Press has declined to 106 326 from 118 676 and Rapport to 156 449 from 177 016. The Sunday Times falls to 380 293 from 405 458. 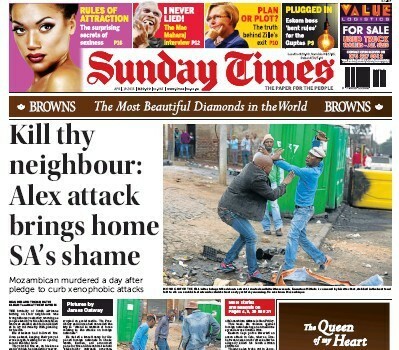 Sunday Tribune is down to 64 063 from 68 668. Sunday Sun is down to 161 709 from 172 741 and Sunday World to 102 765 from 113 757. Ilanga Langesonto has declined to 49 782 from 55 224 and Isolezwe ngeSonto to 88 410 from 93 268 but Isolezwe ngoMgqibelo has grown to 83 124 from 80 976. In terms of the weeklies: Ilanga has fallen to 93 021 from 100 853, but The Post grew to 45 744 from 45 503. The Mail & Guardian has fallen (collapsed seems more appropriate) to 30 714 from 44 267. Soccer Laduma has fallen to 315 273 from 317 013. *South African titles only. Must have a cover price. Excludes free papers. Thanks for the timeous and detailed update. It seems to have become more difficult to access the latest figures. Much appreciated.